An adventure with real rock, real challenge, and real opportunity! Nothing artificial here! Noah's Ark facilitates life-changing adventures for individuals, families, and groups through half day and full day rock climbing and rappelling trips. 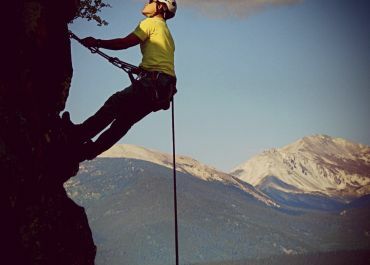 Working in partnership with the US Forest Service & Bureau of Land Management, we offer 2 amazing locations near Buena Vista, Colorado with big views, exhilarating climbs, and gut-wrenching rappels. A Colorado rock climbing and rappelling adventure will be a great addition for groups with beginner or intermediate climbers. Check out our Backpacking or Basecamp trips to find out how you can pair your rock climb with whitewater rafting, a full-day hike, wilderness backpacking trips, or the Browns Canyon Adventure Park! Class: 5.6-5.8 No experience necessary! Class: 5.6-5.8 Great for all skill levels! 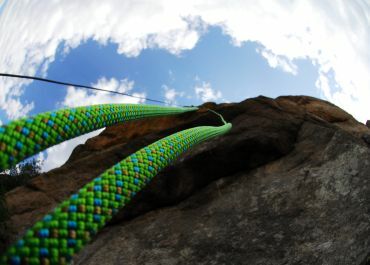 Or choose a package that includes Rock Climbing and save! A morning of rock climbing and rappelling followed by a trip down the Arkansas River in the afternoon. Also provided is a delicious deli-style lunch at Noah's riverfront property between your activities. 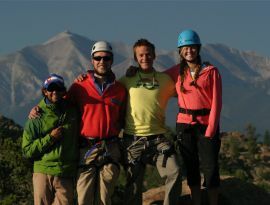 Experience a complete Colorado adventure by combining rock climbing, rafting, and camping! 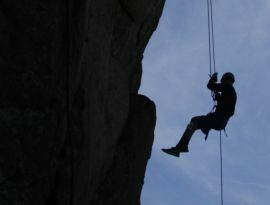 Start your day rock climbing and rappelling. After lunch, raft through Browns Canyon. Finish your day camping on the banks of the Arkansas River. The presentation & the attitude of the staff is excellent. They are organized, well-coordinated, & very supportive of all participants. Everyone is given the opportunity to test personal limits & safety is maintained.